With a long history of design excellence, North American Feed Screw can help you maximize your production process with highly effective and efficient screw designs based on your process needs and material properties. We provide field reviews and consultation on materials and output to determine the optimal feed screw specifications needed to improve your product quality and production efficiency. We research new material specs and design screws to specific applications for specific materials. 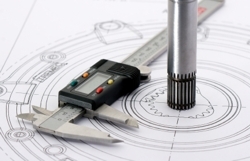 We combine the application of modern CAD systems with our 40 plus years of design and engineering experience to create unique solutions for your manufacturing needs. Our screws are engineered and manufactured to fine tolerances using hard-surfacing materials, coatings and base metals to best meet your production requirements.